A few weeks ago, I got an email from Quality Encapsulations asking me if I'd be interested in reviewing their Omega 3 Fish Oil supplement. I'm usually skeptical about trying supplements. I have three that I do take regularly- one of which is a fish oil, always buying the same brand because they're brands I trust and I think the supplements work. But, I looked into their ingredients and process and I thought it looked promising. Omega 3 Fish Oils are great for mental health, skin, hair, your heart, and so much more. I've taken one for years. It's important to take a quality supplement though. You want a supplement made with pure ingredients. Since fish oils are made with fish, it's important to take one that is pure and not contaminated with mercury or other potentially harmful things. 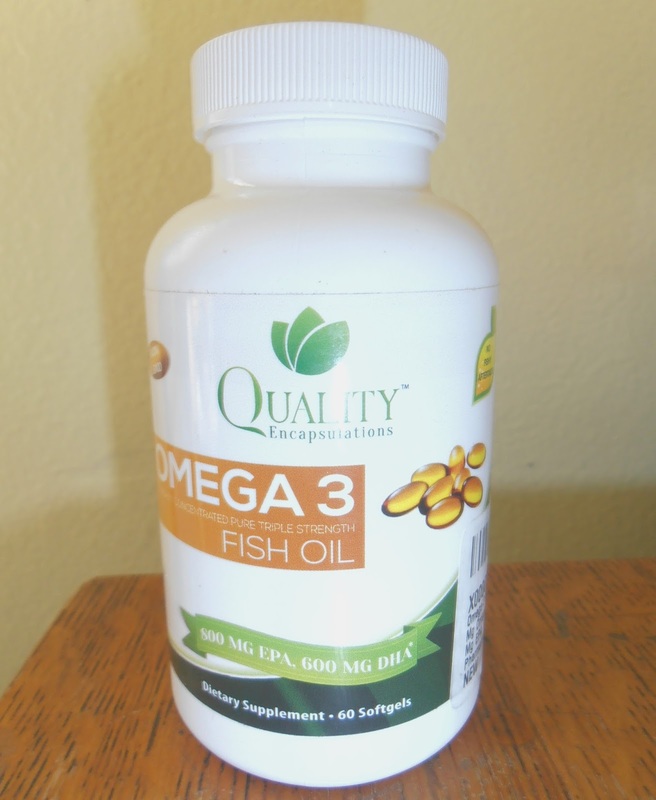 Quality Encapsulations uses pharmaceutical grade fish oils, they don't have a fishy aftertaste- which is a problem I've had with some brands in the past, and are non-GMO. It has 1,500mg total Omega 3s in two softgels, which is slightly more than my current brand. So, if you are looking for a good Omega 3, you should really take a look at Quality Encapsulations. 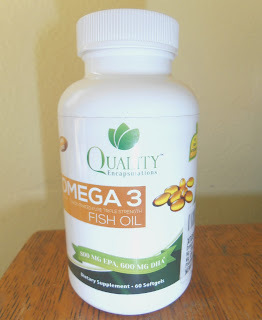 I received a bottle of Qualtiy Encapsulations' Omega 3 courtesy of Tomoson in exchange for an honest review of their product. All opinions are my own.